Just how much of a planner are you? More specifically, how much of a planner are you when you’re starting a new project in your shop? Some people draw out elaborate plans that detail every joint, measurement and detail before they ever put tool to wood, while others just kind of wing it or make a quick sketch of their goal at best. Plans can be helpful, but the amount of planning you do (and how you do it) can vary based on the project you’re working on and your general work style. Here’s the big question that some people are asking… do you even need to make plans at all? In truth, the answer is probably a big “it depends.” If your project is small and simple, or if you’re just working on something for yourself as a quick solution to some need then making plans aren’t strictly necessary. If you create art then plans may be optional as well, depending on the sort of art that you create. If you’re making something for someone else or building something with any degree of detail, however, then a bit of planning certainly wouldn’t hurt. Part of this will also depend on how you’re used to working. 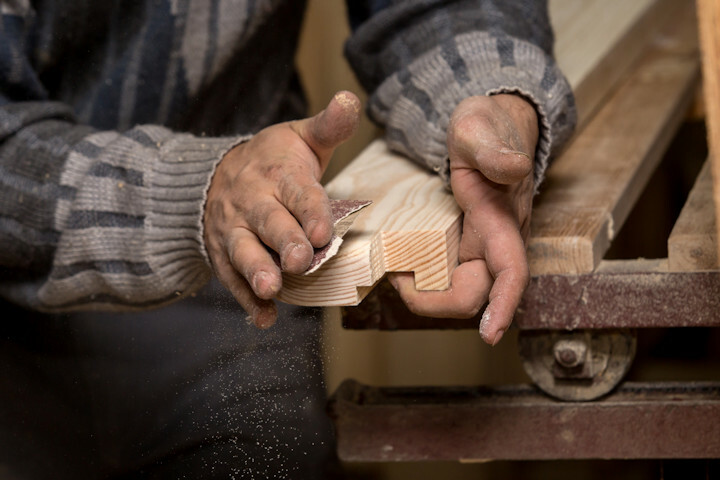 Woodworkers who typically “freehand” their work often work without plans or only create the bare basics, so they’ll probably do much better without plans than someone who always works from project plans. It can be difficult to change habits, so there’s a good chance that you’re going to stick with the amount of planning (or lack thereof) that you learned with and are used to working with. So what if you’re not used to planning and want to learn, or want to try and formalize your plan creation style? The easiest way to get started with planning is to visualize your finished product. Get an idea of how large each dimension should be, how different pieces should fit together and the overall look and function you want it to have when you’re finished. You can keep this visual in your head, or you can draw a rough 3D representation so you’ll have something to consult. Some people even use 3D modeling software to create a model they can view from different angles, though this requires some experience with the software used. For some woodworkers, a little sketch is enough to see their vision brought to life. If you want more direction, however, it’s time to deconstruct that 3D view and make some 2D plans. These don’t have to be fancy or highly detailed; you essentially just want to sketch out the pieces that go together and make a few notes about dimensions to help you with your measurements. Put as much or as little detail into your sketches as you like, using anything from a pencil and note cards to a dry-erase board mounted on the wall of your shop. Just make sure that everything’s readable and you can tell your various parts apart. For a lot of people, a sketch is where they stop. If you want something highly detailed or that you can save and reuse later (or sell so others can recreate your work) then you’ll have to take things a bit further. You might use drafting software to help create your plans or carefully measure and label ink drawings to ensure that everything is to scale and the entire build process is well documented. The sky (and your desired end result) is the limit when it comes to the complexity of your plans. Just keep in mind that there’s no requirement for in-depth planning before you start a new project. If you want as much detail as possible in your plans or want something that you can sell in addition to your work, by all means, strive for professionalism and complexity in the plans that you make. If you’re more comfortable with a few quick sketches and your instincts, though, you don’t have to change what’s worked for you so far. Thank you for the helping me myself I build on the fly have been doing fine this way then others told me to draw up plans on every thing I build. It’s nice to know that I can keep doing it my way.